The Marvel icon dishes on the new movie and his incredible legacy. 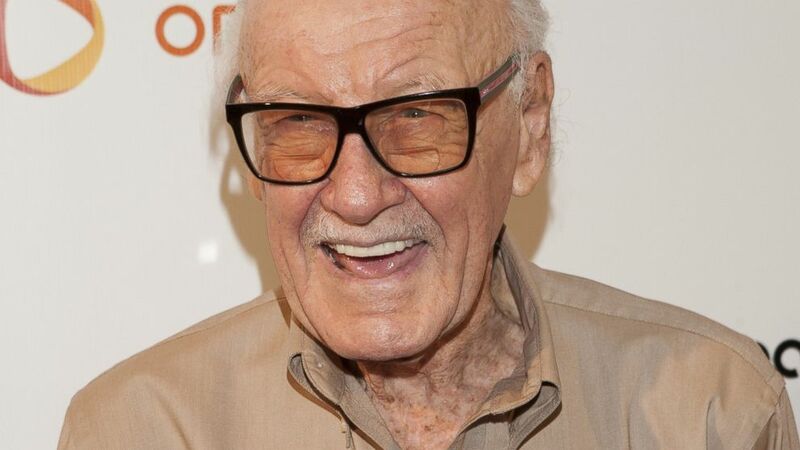 camera (Michael Bezjian/Getty Images) Stan Lee attends Wikipad & OnLive E3 Party at Elevate Lounge on June 11, 2014 in Los Angeles, California. When asked about his legacy and the simple fact that movies like "Avengers: Age of Ultron" are absolutely dominating pop culture today, Stan Lee says "it feels wonderful, it's almost unbelievable." Lee, 92, the comic legend and creator of almost every Marvel superhero you can imagine from Spider-Man to Thor, can't believe these stories he did 40, 50 years ago, are now movies and TV, and on every platform from Netflix to IMAX. "I have to pinch myself all the time to make sure I'm not imagining it," he told ABC News. Lee is so humble, in fact he still doesn't feel like he's "made it," even as the unquestioned father of the modern superhero. "I think the minute you feel you've made it, all the excitement goes away ... I don't know that anybody is looking up to me," he said. "There's still so many other stories to be told. ... I really just try and think of, 'What would I love to read?' [when creating stories and characters]. So far, I have been lucky. I guess there are so many things I would like to read." So much so in fact that as every Marvel fan knows, Lee makes a cameo in each film. Marvel's homage to the icon. (Paramount Pictures/YouTube) Stan Lee makes a cameo appearance in 'Iron Man'. He couldn't say too much about his cameo for "Ultron," only that it's different than all the rest. "It's the first cameo I've had in two scenes," he said, adding that usually he's in only one. "One scene following another and I've never done that before. I think it's very funny." 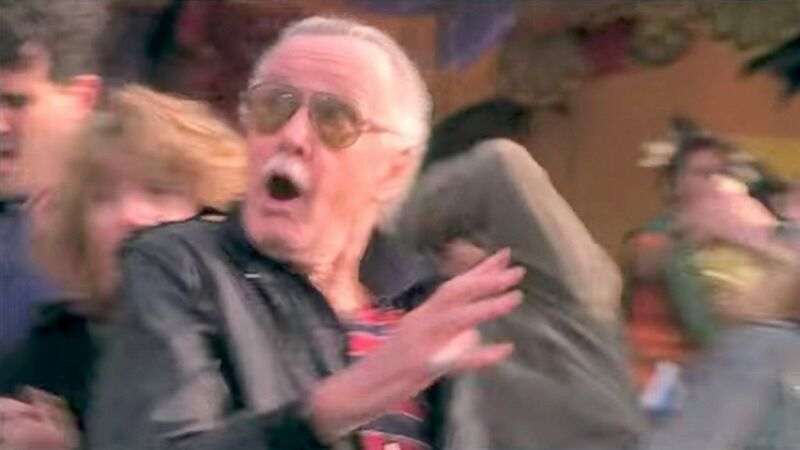 (Marvel Enterprises) Stan Lee in a cameo scene from "Spiderman." Lee still gets caught up in the excitement for movie premieres, even though he's the reason they are happening. "To write something and then talk to people who care about what you've written is a wonderful feeling," he said. "I can't even express how grateful I am to be in the position where I can meet fans, who enjoy the work I do. [And the actors] are friendly as hell. I enjoy meeting them and talking with them and being with them. I was with Robert Downey Jr. the other night and they are all great. They enjoy what they are doing just like I enjoy what I'm doing. For Lee, it's all about the reader or the movie goer enjoying his work that counts. "That is such a wonderful feeling for me and it makes me want to do more and more stories," he continued. And more are exactly what Lee is working on right now with his new company POW! Entertainment. The comapny formed with business partner Gill Champion is extending Lee's genius to a new generation and new audiences. New characters and projects include Chakra, the first Indian superhero, a couple Chinese characters in development, a new Latin American hero and "Lucky Man." "Lucky Man" is a new show being filmed in the UK, Champion said. "POW! has been a company post Marvel, for Stan to create new stories, new ideas," Champion said. "Here at POW!, we've come up with a couple hundred new stories .. and about 500 new characters." The company has had a heavy international influence. "We are recreating a whole, new universe from the mind of Stan Lee," he said. "It's been interesting to see the reaction, particularly in China. These types of stories seem to be attracting the mass audiences. How recognizable Stan has become." The company is pushing superheros beyond the page and onto TV and even into holographic musicals. "It's exciting as hell. The nice thing about it is I have to come up with the story idea, then we can always find people to do them in whatever medium would be best. Using special effects and all sorts of technology," Lee said. ABC News' Jeff Swartz contributed to this story.